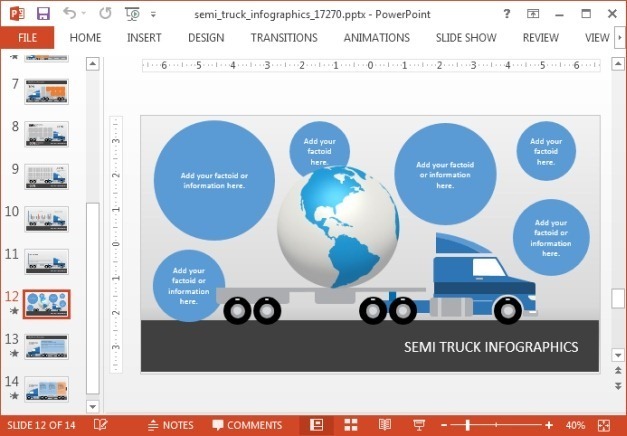 When making presentations, a truck is perhaps one of the least likely template themes you would be looking for, unless your presentation is about transportation and freight. 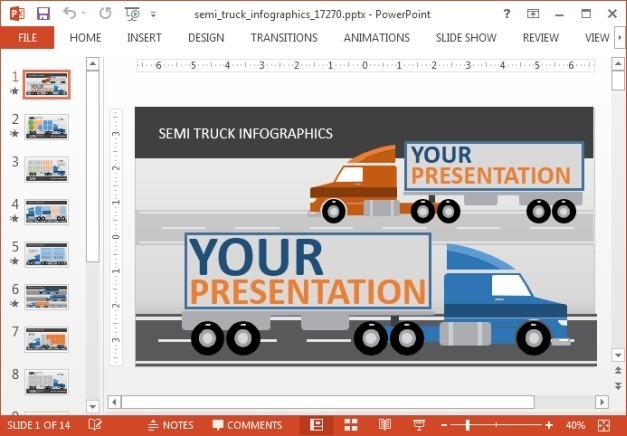 However, the Animated Transport Truck PowerPoint Template mentioned below is one fine presentation set that can help you create any type of presentation using interesting infographic layouts with truck images! 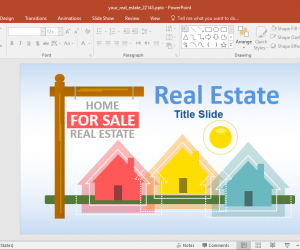 Primarily, the PowerPoint slides in this template have been designed in such a way that you can use them for displaying important trends and for making charts. For example, you can recolor the blocks shown in the slide below. 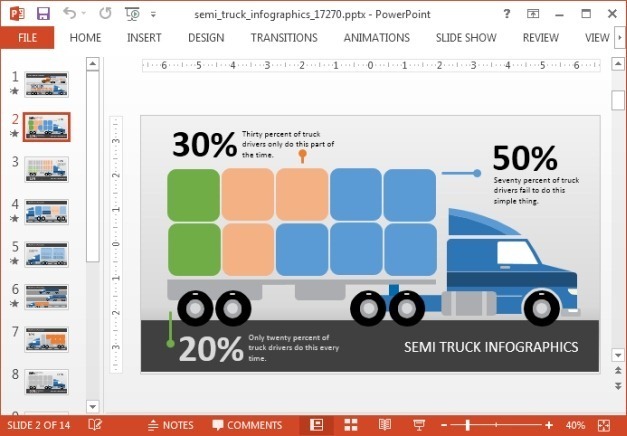 By recoloring parts of this sample slide you can display different types of statistics and even create infographic slides. Then there are the more straightforward layouts for inserting conventional charts. 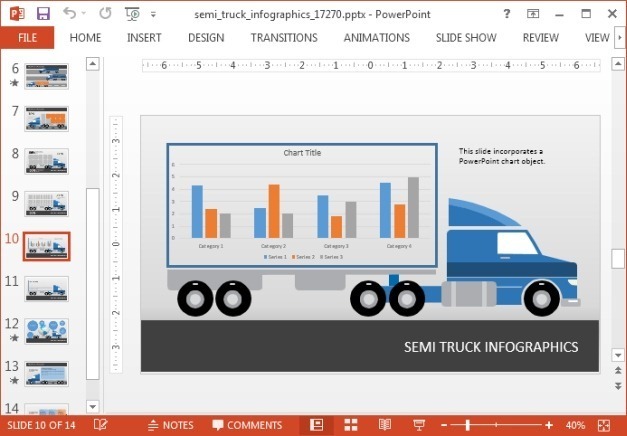 A bar chart on wheels shown below can be a novel way of displaying your data before an audience, using the truck themed slide layout. 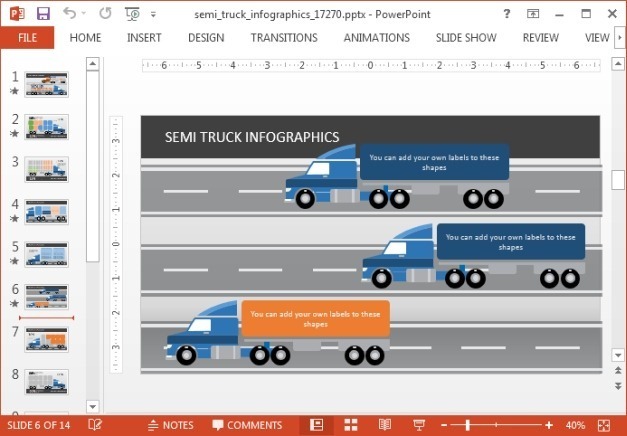 The animations show different trucks on the road, revealing slide objects systematically. 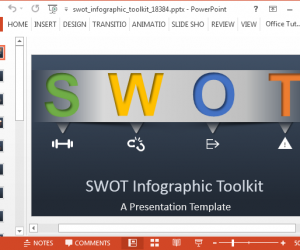 You can label the textboxes to create infographics and even general, text heavy slides. 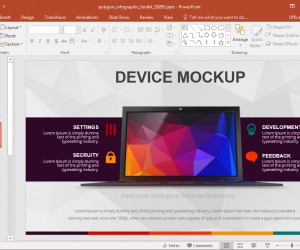 The layouts are glossy and visually appealing, with scope for changing the position of slide objects via drag and drop. 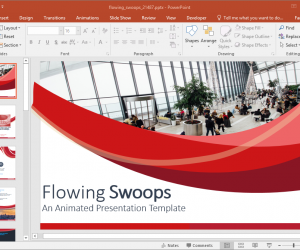 You can also recolor slide objects according to need and preview them with the animations by running your presentation as a Slide show. 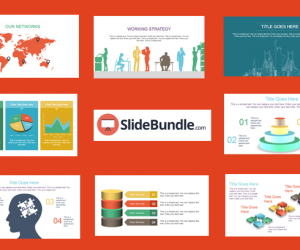 This animated template has nearly a dozen slides with various customizable layouts which can be used for any type of presentation topic. 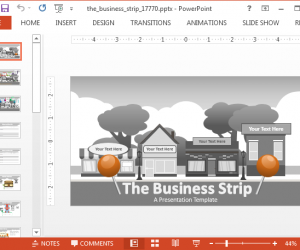 The ideal topics for such a template would include anything related to transportation, business, logistics, shipping, marketing, supply chain, etc.